There are two main 529 plan options. The investment plan allows account owners to choose to invest their plan, either directly or with the help of a broker. A prepaid tuition plan purchases semesters at college and the plan controls how funds are invested. The short version: The investment choice is more flexible in how it’s invested, what it’s spent on and when you can enroll. The prepaid tuition is simple and specific, covering tuition at a select school. But you can read more about the details here. Each state sponsors its own 529 plan, but that doesn’t mean you’re restricted to your own state’s plan. Currently, 34 states and the District of Columbia do offer income tax deductions for participating in your own state’s plan (see the list here.) But that deduction may or may not make it worth sticking within your own state. Some states will give you the best of both choices. States including Arizona, Kansas, Maine, Missouri, and Pennsylvania give investors the in-state tax deduction for investing in any 529 plan, even if it’s out-of-state. If you want to maximize your investment, it pays to do your homework. Research states’ performance over past few years to see if your in-state tax benefit would go be a smarter choice than the benefits of another state’s 529 plan. You can also purchase a 529 plan through a financial advisor. There are fees and commissions that go along with that option, including commissions and annual asset-based expenses. You can expect to pay upfront commissions between 1% and 5.75% of the invested amount. There’s a difference between an advisor-assisted 529 plan, and just working with an advisor on your 529. For example, an advisor can recommend the best 529 share class depending on how much you’re investing, and how much time you have. A fee-based financial planner might also have access to fee-waived share classes. Direct-sold plans also have fees, but they’re lower than advisor-assisted. They also tend to be more affordable because they use less expensive investment models. 529 plans grow tax-free. While you pay federal taxes on your contributions, you can take money out tax-free for qualified college costs like books, tuition, and fees. Don’t worry about financial aid; a 529 has minimal impact on how much aid a student can receive. These accounts are reported as parental assets when you fill out the federal financial aid application. For grandparents who want to open a 529 plan, it’s best to check out the student financial aid ramifications first. Grandparent-owned 529 accounts can count against student aid more heavily than parental accounts, so it might be better to contribute to a parental account instead. 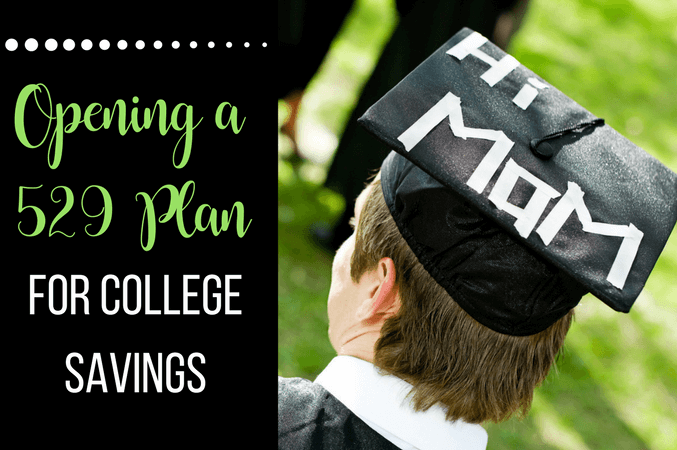 Opening a 529 plan is a very strong option for your college savings investment. Thanks to the tax benefits and the wide variety of plan options, you are likely to find a plan that helps you hit your savings goal. Katie Brewer, CFP® and fee-only financial planner, believes everyone should have access to financial resources and coaching. Contact Katie today for more information and services offered.